Another byproduct of the ‘Code in popular music’ bits I wrote (1, 2) was a slight fascination with ciphered text in the liner notes of various albums. I’ve encountered several great examples of such ciphers, and am curious to learn if there have been other instances. The source of many of my leads in compiling this list is a text-based Cryptorock Summary, crossposted in the alt.rock-n-roll and sci.crypt newsgroups in 1989, though I’ve noticed several post 1989 examples as well. 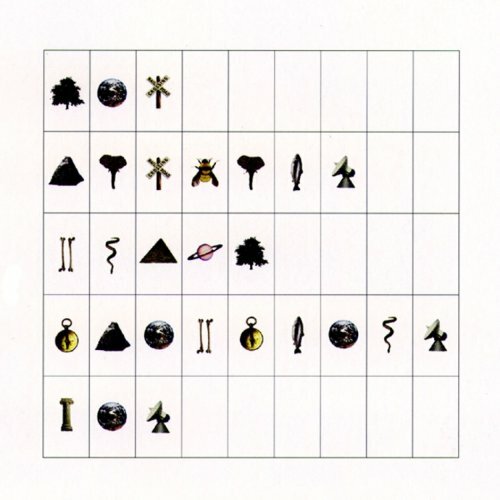 The most obvious of the more recent examples is ‘Imaginary Day‘ by the Pat Metheny Group. The cover to the album makes it fairly clear that something’s up, and provides enough ‘given’ context that one would have a decent shot at cracking the rest of the symbols even if the key wasn’t provided inside the case. Inside the booklet, all information is written in this code. 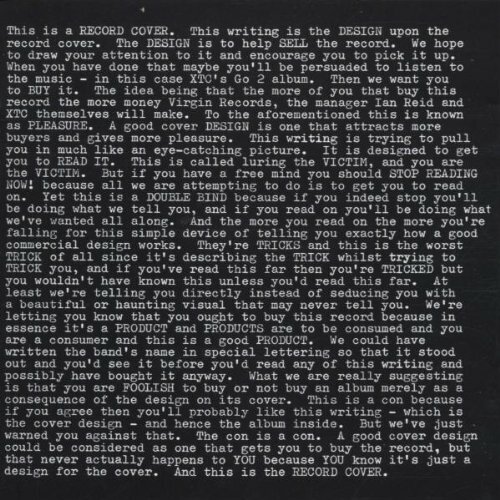 An example of how the coded liner notes look can be found here, and a giant scan of the back cover (which features the tracklisting, in code) can be found here. Decoding the notes using the provided key entails properly aligning the disc itself with the artwork beneath the ‘tray’ of the case. 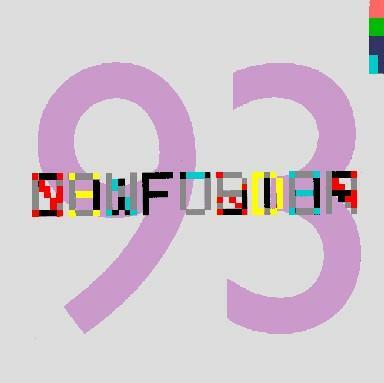 Doing so allows each letter of the alphabet (on the under-tray artwork) to show through the clear center of the disc, and align with the corresponding symbol. This cipher was carried over to the packaging for the live DVD release associated with the ‘Imaginary Day’ tour. To avoid in-store confusion, both the CD and DVD are wrapped in a blue strip of paper identifying the item in plain English. This newsgroup posting contains a translation of all of the liner notes. There is a slightly pointless application based on the cipher available for download at the promotional site for the album. Running the application brings up a screen that translates your keystrokes into the pictoral code. Correctly filling in the blanks with ‘Pat Metheny Group Imaginary Day’ rewards you with a photograph of Metheny sitting with his acoustic guitar, lost in thought. One can only imagine how much Warner Brothers was duped into paying for the development of this ‘intricate’ promotional software back in 1997.
of first names for a sea of names). 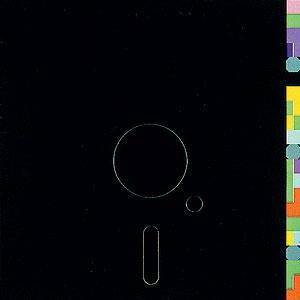 The back of the sleeve to New Order’s ‘Power, Corruption and Lies’ album features a color wheel designed by Peter Saville that was used to encode brief messages on many New Order releases (Power Corruption & Lies, Blue Monday, and Confusion). 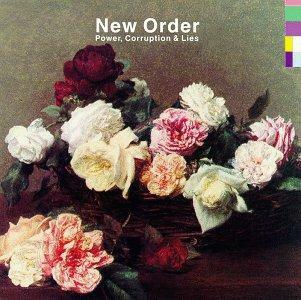 New order also uses the code on their official website. One of the albums cited on the previously mentioned cryptorock list is Ozzy Osbourne’s live album, ‘Speak of the Devil,’ released shortly after guitarist Randy Rhoads died in a plane crash on March 19, 1982. 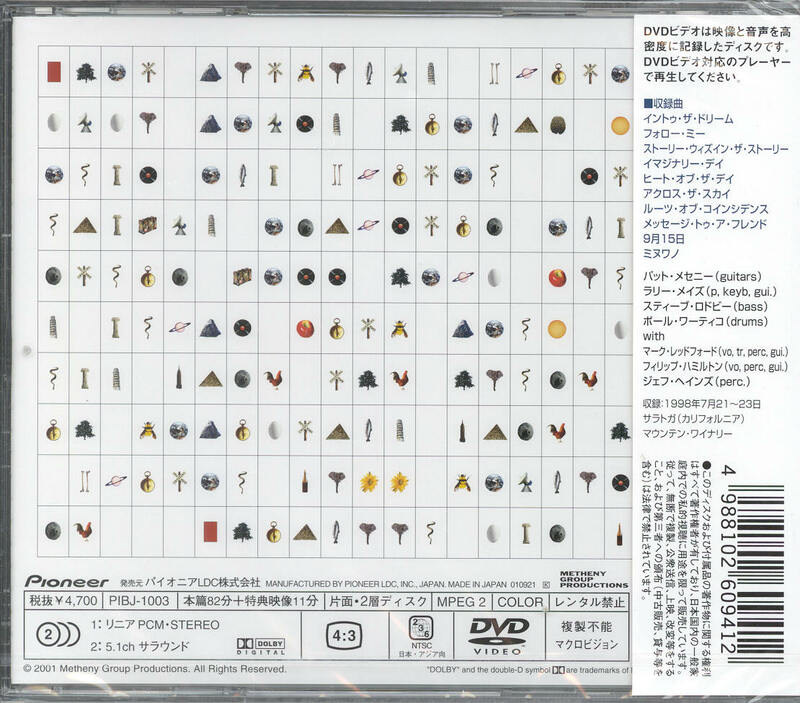 The back cover of the album features both a ring of symbols (which appears to be a key), and numerous strings of smaller symbols in red. The message is described on the list as being a dedication to Randy Rhodes, but I have found no reference online to decoding the message. Clicking the image below should open a larger image of the full back cover in a new window. There are several other pre-1989 examples listed in the newsgroup posting, but they are either of dubious quality or too rare for me to easily track down. Is anyone aware of other modern examples? For some reason, I had never heard of ‘Ballin’ the Jack.’ Maybe it’s just me. Turns out its a 1913 rag that sparked a gigantic dance craze. Gelling nicely with yesterday’s post, Harry Nilsson even recorded a version of it. Just to add to the useless trivia – here’s some info on where the phrase ‘Ballin’ the jack’ comes from, via this newsgroup thread. fast” but why does it mean that? a tall pole when trains were to proceed…. ‘ballin’ the Jack…or running the train at top speed on clear signal. You can download a recording of ‘Ballin’ the jack’ for free from Amazon via this link. Be on the lookout for my next band: ‘Quadratic Invasion.’ Our reportoire will consist exclusively of these different arrangements of the quadratic equation… as they would sound if performed by (early) Beatles. “Nonetheless, there are indications that Mozart enjoyed mathematical puzzles. He also had a lively sense of humor and was fond of playing around with names. And he had a passion for gambling—a major preoccupation at the time (along with drink) among the men of both Salzburg and Vienna. Hideo Noguchi of Kobe, Japan, has written a paper on the rules of the game as he has worked them out. It appears to be a method for developing a ‘signiture meolody’ based on one’s name. Noguchi’s paper is available online here, complete with figures depicting bits of the original manuscript. Ok dudes, so you want to play the “Not by Mozart” dice game? Itching to compose some minuets? The procedure is as follows: the ‘composer’ rolls two dice and looks up the resultant roll in a table. The table dictates a certain numbered measure of music to be played. This process is repeated 16 times until the randomly generated minuet is complete. In the interest of further alienating former kempa.com readers, I’ve pieced together a short discussion of the mathematics involved in this game from various sources on the internet. It might be a good idea to visit one of these two sites – both are web-based midi implementations of the game – and compose a few minuets before moving on, so you aren’t completely lost. The total achieved by throwing a pair of six-sided dice can result in any number from 2 to 12. Therefore, there are 11 possible outcomes. As such, each of the 16 measures in the resultant composition have 11 possible selections associated with them (Depending on which version you’re going by, the 8th and 16th measure have either the standard eleven, or a far less impressive two possibilites). This means that the final piece is composed from a pool of ~ 171 prewritten measures. These measures are arranged in a table corresponding to their placement in the context of the 16 measure piece and the dice roll for that measure. You can view an example of the table that determines the measure to be played, and listen to each measure here. This version, by Zsófia Ruttkay and Bram Boskamp, is among the best. While it doesn’t show you any of the randomizing, it does everything else remarkably well: automatically loading the score to the generated piece, playing it in midi, and presenting you with a variety of playback options. There’s another simple MIDI version by John Chuang, here. There’s a simple shockwave version, by Michiko Charley, here. This one also keeps the randomizing behind the scenes, jumping right to the playback of completed random piece. Uniquely, The chart of each measure is displayed as the measure is played, giving a nice visual reference to where each interchangable measure begins and ends for those of us who do not read music. When I was in 7th grade, my algebra teacher, Mrs. Berry, taught us the quadratic equation to the tune of the Notre Dame fight song. In discussing this with other people years later (I’m a “Sit around and discuss the quadratic equation” kind of guy), I found out that this was a common practice, but that the tune to which the quadratic equation was applied would vary. All over two times Ayy (dum dum). You’ll have the zeroes before you know. All over two times a. Integrating with trig identities takes everything you’ve got. Anti-diff-er-en-tia-ting sure can take a lot. Wouldn’t you like to learn a way… ? All you need to do is find the m and the b.
It’s not too hard you see, You put your pencil on the b. We will, we will graph you! As you can see, it’s really necessary to read the whole thing. That’s it for today. Math and music. And this is only the beginning. I can feel the cool kid links already. Also – Rob, I get half of your pay for every day you use this in class. While researching hidden code in commercially released music, I ended up turning up tons of references to albums containing morse code. For some reason, this didn’t seem ridiculous enough for me – it seemed too obvious. I’ve since looked into it a bit more and found a few examples that officially surpass my threshold of ridiculousness. The one really, really great one that I found mention of is in ‘YYZ’ by Rush, from their 1981 album ‘Moving Pictures.’ Now, this is a ridiculous song to begin with – the mind reels at the number of steering wheel percussionists who have caused accidents trying to keep up with Neil Peart’s off-kilter part. It was like an added bonus-burst of ridiculousness to find the hidden meaning in both the title and rhythym of the song. The rhythm of the beginning of ‘YYZ’ IS the letters ‘YYZ’ in morse code. Just to make sure everyone is clear on what is meant here – this isn’t just someone tapping out the code ‘y y z’ (dash dot dash dash, dash dot dash dash, dash dash dot dot, incidentally) – the actual rhythym of the song follows the code. I’ve illustrated this below using Morse, Drum, and Beavis terminology. I’ve also posted a short clip of the rhythmic intro to the song here. About a quarter of the way through they abondon the ‘YYZ’ beat and break into typical Rush fare for a minute or so before hitting a run of prog-ified dancepunk which would make the Rapture piss their pants. It’ll be sampled soon, I hereby declare. But what’s the significance? Why all that trouble to fit ‘YYZ’ into the actual music of the song? There’s an mp3 clip of the song on Brute Force’s official site. There’s a giant listing titled ‘Morse Goes to the movies‘ for all you morse code lovers out there in INTERNETLAND! Finally, the Rhythym of the Code is an amazing bit of audio that is intended to teach Morse Code. Harmonized morse code is the best – listen here. Until next time, KEEP POUNDING BRASS!